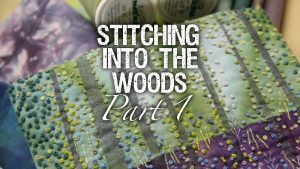 In the first video Linda shows how she was inspired to make a hand stitched embroidery when she was playing with reels of thread! You’ll see how first of all she made a quick colour sketch to decide on composition and proportion, then you’ll discover how she uses masks and fabric pastel to produce vertical shapes. Linda explains her choice of thread colour and her selection and execution of three embroidery stitches which she thinks best interpret the theme. 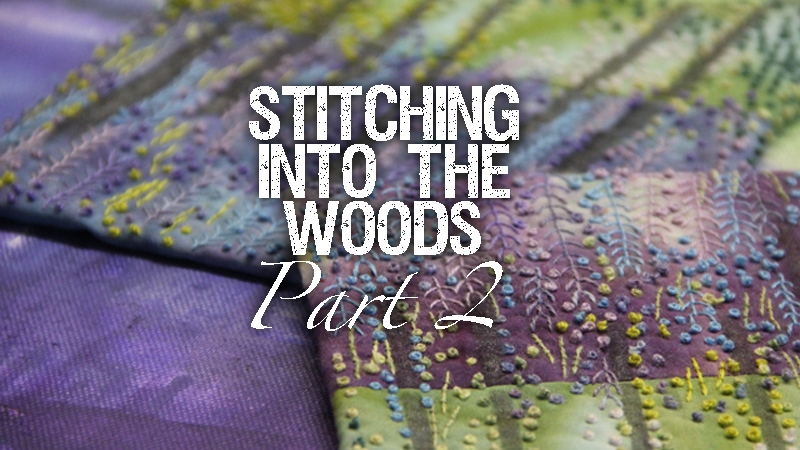 Finally she explains how she places the stitches to suit the small scale of the piece. 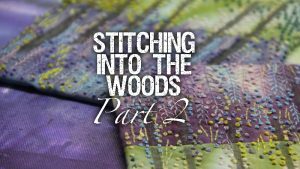 In this second video Linda shows how she prepares her embroidered bluebell wood panel for mounting onto a box canvas. She explains why she chose the size of canvas she did and demonstrates how to colour it with vibrant acrylic paints to compliment the embroidery perfectly. 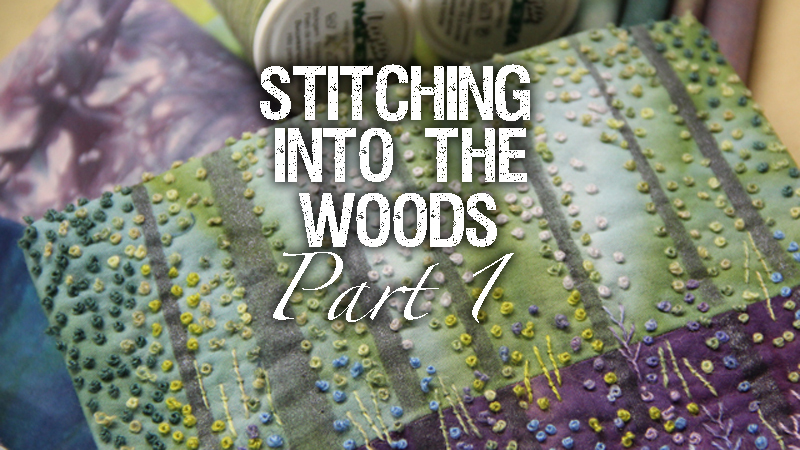 You’ll see exactly how she achieves such delicious backgrounds for her stitched pieces!